Connections with Evan Dawson is pleased to welcome XRIJF co-founder and artistic John Nugent and drummer Charles Ruggiero. Join us Monday, June 13th at 1 pm on Connections with Evan Dawson on AM 1370 and WRUR-FM 88.5 for a special Xerox Rochester International Jazz Fest preview. Evan invites RIJF co-founder and artistic John Nugent and drummer Charles Ruggiero on the show to talk about the fest. 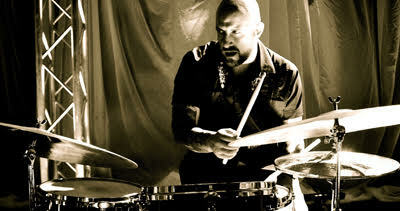 Rochester native Charles Ruggiero was born to be a drummer. The son of world renowned jazz musician Vinnie Ruggiero, Charles spent his early years surrounded by the "who's who" of Jazz and spent several years touring with other jazz greats. Now, he is planning on returning to Rochester to take part in this year's Xerox Rochester International Jazz Festival. In 2008, Ruggiero relocated to Los Angeles. He immediately began working as a recording session drummer, making pop and rock records. He also got back to his jazz roots by playing live and recording with the finest musicians in LA. In the fall of 2013 Charles made his long awaited move back to NYC, and has started working with 80's icon Molly Ringwald. Charles Ruggiero will be performing on Sunday, June 26, 2016 at Max of Eastman Place at 6:15 pm and 10 pm during the Xerox Rochester International Jazz Festival.